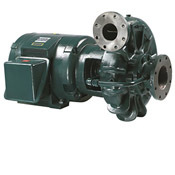 The most common type of pump in use today, centrifugal pumps are typically used to move low viscosity fluids through a piping system. 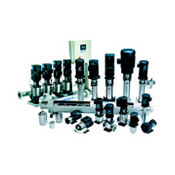 There are a number of configurations available depending on the application requirements, including: end suction, split case, single and multi-stage, and vertical multi-stage units. 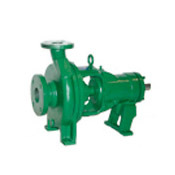 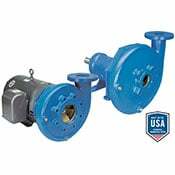 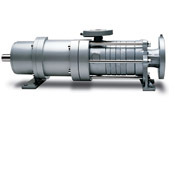 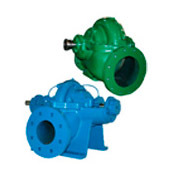 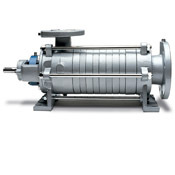 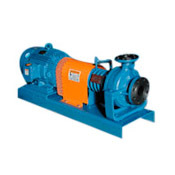 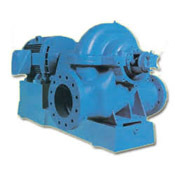 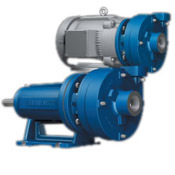 All types of centrifugal pumps work on the principle of converting velocity to flow and pressure. 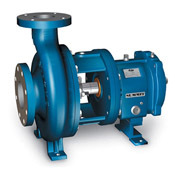 This occurs as the fluid enters the eye of the pump and is accelerated as it moves outwards through the vanes to the volute where the fluid exits the pump at a higher velocity. 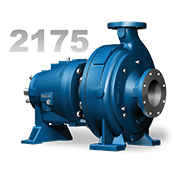 Contact our pump specialists today for personalized assistance in finding the most efficient pump for your process, application and budget. 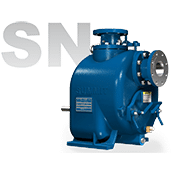 Capacities to 6000 gpm, heads to 730 feet , pressures to 375 psi, temperatures to 700 degrees F.
The SC-model side channel pump is a mechanically sealed design and is the standard seal option for propane, butane, and agricultural ammonia service. 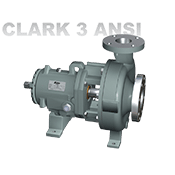 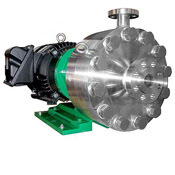 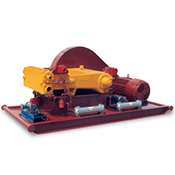 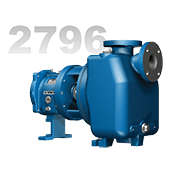 The SCM-model side channel pump is a sealless magnetic drive design and is recommended for pumping hazardous, toxic, foul smelling, or other difficult-to-seal thin liquids.